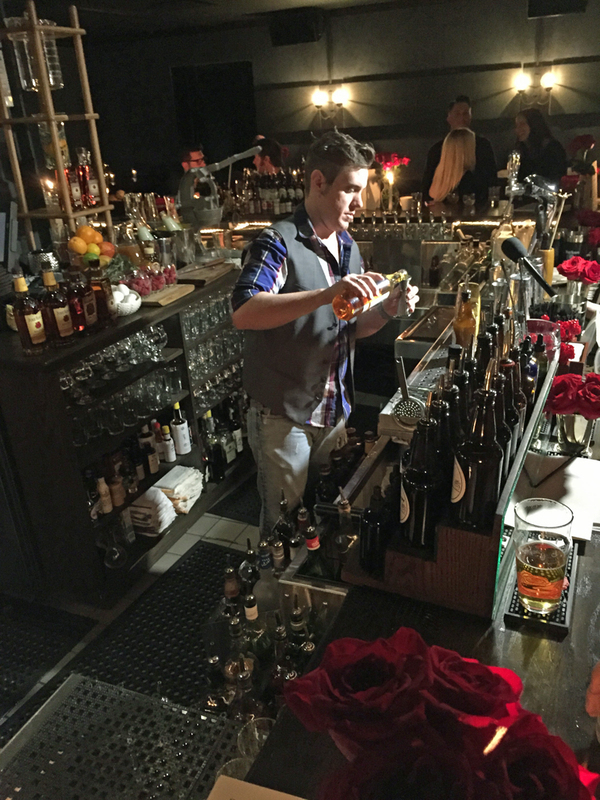 Last month I attended the inaugural Four Roses Charity Cocktail Challenge! The intimate event held at The Dawson combined cocktails and charity, two of my favorite things, in mixology challenges. 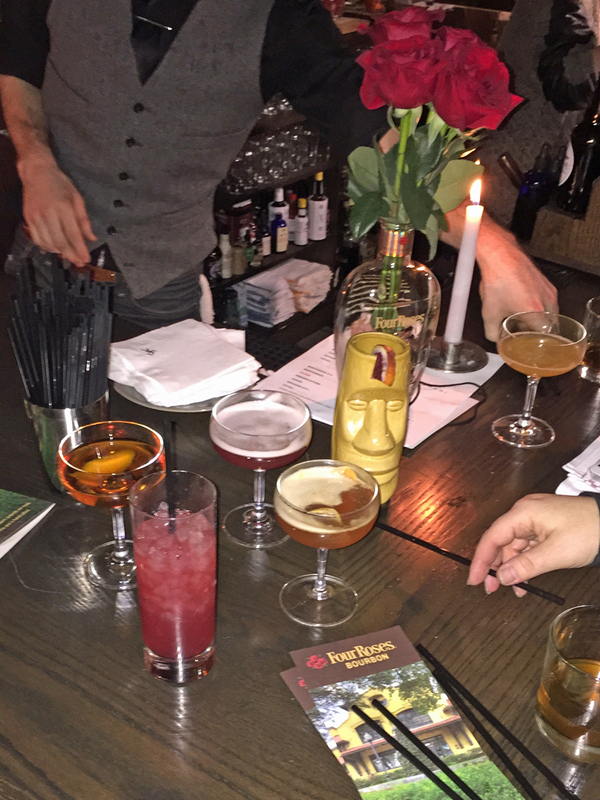 I watched local mixologists create Four Roses Bourbon Cocktails on the fly! 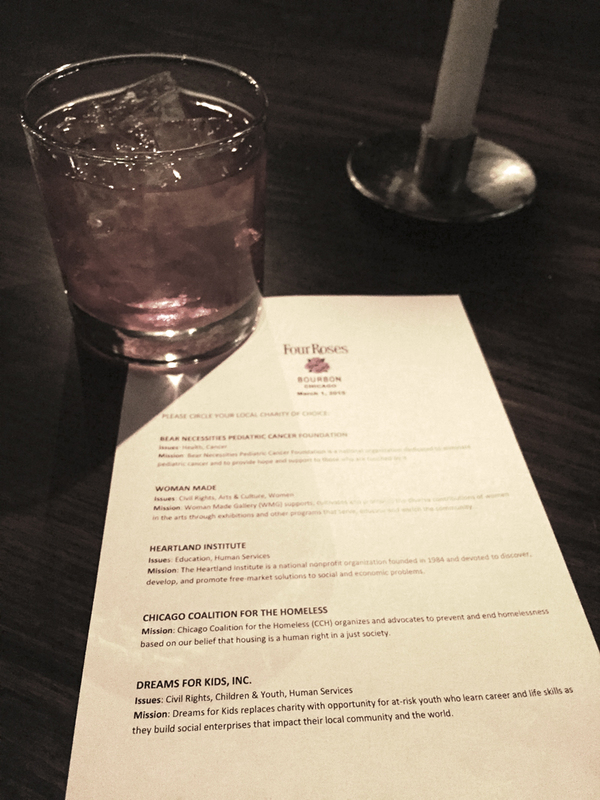 As a special thank you, Four Roses Bourbon donated money to a local charity for every bartender who participated. The competitive evening is now being held across eight cities in the United States. 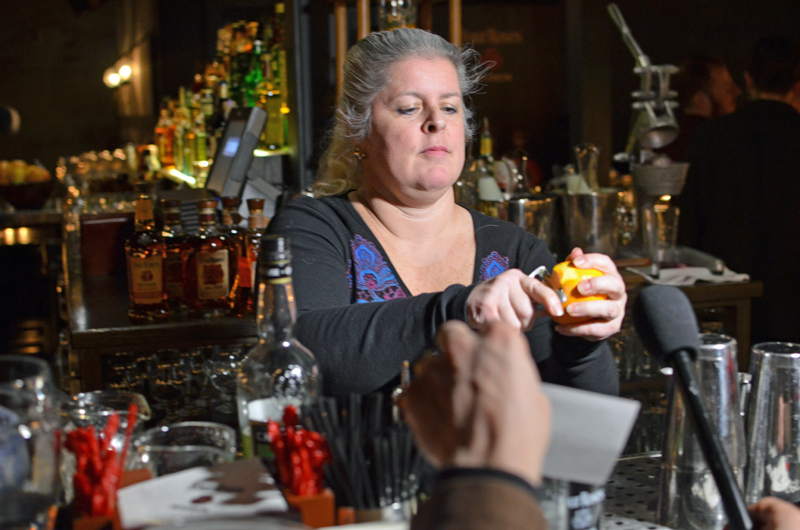 From San Francisco to New York, mixologists will compete, and donations will be made to a local charity on their behalf. When all is said and done, one lucky bartender will win an exclusive trip to the Four Roses Bourbon Distillery in Lawrenceburg, Kentucky (check out my post when I visited the Bourbon trail) where they will get a behind-the-scenes look at Four Roses Bourbon. I was lucky to get a seat at the end of the judges table and sample several of the creative concoctions made. It was amazing to taste the complexity and creativeness that each mixologist crafted on the fly at the event. Egor Polonskiy from Untitled was named the Chicago finalist in the Four Roses Charity Cocktail Challenge, which raised funds for UN86’D. For the competition, Egor showcased Four Roses Single Barrel in his Lawrenceburg Citizen Cocktail. I’m looking forward to watching the results in other cities roll in. 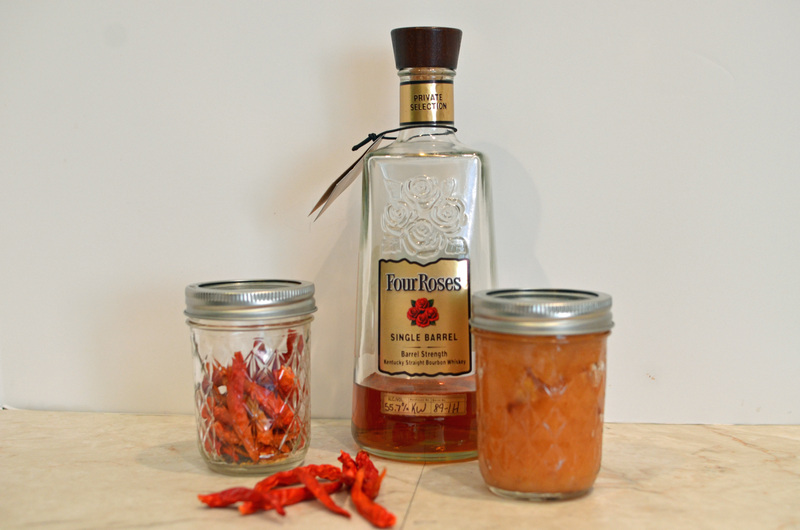 As I do, I be eating some of my crazy good Four Roses Wild and Spicy Apple Sauce.